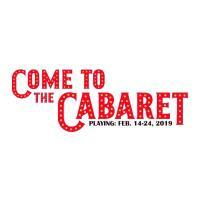 Immerse yourself into the dazzling world of Regional Theatre Of the Palouse’s production of Cabaret playing February 14th to the 24th. Set in early 1930’s Berlin, Germany, with rising social-political unrest, a local cabaret, the Kit Kat Klub becomes a center for avant-garde culture and theatrical misfits of the Roaring Twenties. Broadway’s musical, Cabaret, is sourced primarily by Christopher Isherwood’s novel Goodbye to Berlin and Van Druten’s play I am a Camera. The story centers on an American novelist; Clifford Bradshaw, played by Mathias Oliver. Cliff travels to Berlin looking for writer’s inspiration. He stumbles upon the alluring Kit Kat Klub and meets a spirited English performer, Miss Sally Bowles, played by Anjuli Dodhia. Wild and free, Sally optimizes the dazzling life of the cabaret, a refuge from the worries and cares of pre-World War II. An extravagant and flamboyant Master of Ceremonies, played by Jasper Barbosa, presents musical numbers to entertain, warn and provide social commentary. The story introduces another budding romance between boarding house owner Fräulein Schneider, played by Elena Panchenko, and a Jewish fruit vendor, Herr Schultz, played by Mike McCully. Over the course of real historical events, Cliff and Sally, as well as Fräulein Schneider and Herr Schultz, feel the effect of a growing nationalist zeitgeist, the spirit of the times. A once dream-like world begins to change forever. Cabaret is an award-winning musical that will dazzle and move audiences. RTOP’s production of Cabaret is produced by executive director John Rich. The show is directed by Michael Todd. With Kimberly McDowell as music director and choreography by Berit Preece, along with a professional production team, RTOP is proud to bring this award-winning Broadway musical to the Palouse. 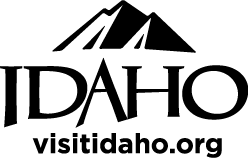 10% savings on group sales on 10 or more tickets.